RAJANPUR: Pakistan Tehreek-e-Insaf (PTI) is expected to sweep elections across Rajanpur district where an electoral alliance between two powerful local feudal groups consisting of Leghari and Mazari tribes might sail the PTI candidates to victory. Rajanpur is located in the extreme southwest part of Punjab and is one of the two districts of the province located west of Indus River. The land is crammed by Indus River on one side and Sulaiman Mountain Range on the other. The majority of people in the district speak Seraiki while Balochi, Punjabi and Urdu are also spoken. The major tribes in this district are Jatt, Arain, Rajput and Baloch. 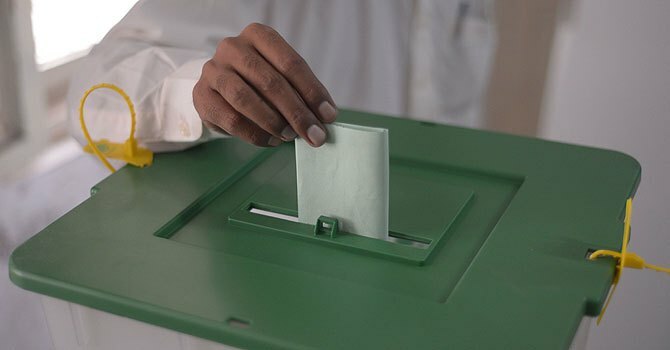 As many as 887,990 registered voters – 498,903 male and 389,087 female – are going to cast their votes in the upcoming general elections for three National Assembly (NA) and five Punjab Assembly (PA) seats. In the 2013 elections, Pakistan Muslim League-Nawaz (PML-N) had won a majority of national and provincial assembly seats after Legharis and Gorchanis formed an alliance against influential Mazari tribe. The electoral alliance between Legharis, Mazaris and Dareshaks date back to 2002 when the alliance swept the then general elections in Rajanpur and neighbouring Dera Ghazi Khan under the leadership of former president Sardar Farooq Khan Leghari and Mir Balakh Sher Mazari. This time around, however, Sardar Jaffer Khan Leghari has initiated the alliance with Mazaris after losing 2013 elections at the hands of Gorchanis. Jaffer Khan is considered the most popular tribal elder who can make or break any alliance and sides with the chief of Leghari tribe, Sardar Jamal Leghari, who is his nephew. Presently, Jaffer Leghari, on the advice of his wife Meena Leghari, has broken away from Jamal and Awais Leghari and formed an independent alliance with former prime minister Sardar Balakh Sher Mazari, a political heavyweight of Rajanpur. Nasrullah Dareshak, another bigwig of the area who is the owner of Indus Sugar Mill, is facing some opposition as the farmers are unhappy with the sugar mill’s management for underpayment to small farmers. 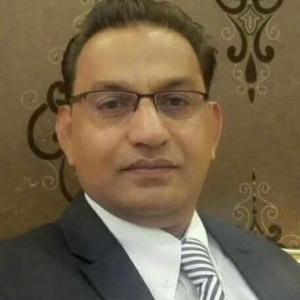 In NA-193 Rajanpur-I, Sardar Jaffer Leghari of PTI is leading the race and is expected to win elections with a huge margin against former Punjab Assembly deputy speaker and PML-N leader Sher Ali Gorchani, who has returned the PML-N ticket and is contesting as an independent on election symbol of ‘Jeep’. Meanwhile, Advocate Shazia Abid is contesting on Pakistan People’s Party (PPP) ticket. For PP-293, there are three candidates in the run with former senator Mohsin Leghari of PTI leading the race against Sher Ali Gorchani, an independent candidate. Sibtain Sarwar is PPP’s candidate who lacks public support. For PP-294, Hasnain Bahadur Dareshak is leading the race on PTI ticket while former MPA Athar Hassan Gorchani is contesting as an independent, whereas the PPP has fielded Nasrullah Tareen. For NA-194 Rajanpur-II, Nasrullah Dareshak is contesting on PTI ticket and is in a comfortable position to win the election. Moreover, former MNA Dr Hafizur Rehman Dareshak is contesting as an independent candidate and is exploiting the grievances of small farmers to give a tough time to Nasrullah Dareshak. Nasrullah is, however, in a comfortable winning position as he is riding PTI’s popularity wave. Former MNA Khwaja Kaleemuddin Koreja has been fielded by the PPP in the constituency, but he is trailing far behind. In PP-295, Farooq Amanullah Dareshak is leading the race on PTI ticket while Pervez Gorchani is challenging him as an independent. In PP-296, Tariq Khan Dareshak is PTI’s candidate and is leading the race while Yousaf Dareshak is contesting as an independent. The race for NA-195 Rajanpur-III is again dominated by PTI’s Riaz Mehmood Mazari, the son of former prime minister Balakh Sher Mazari. He is being challenged by PML-N’s Khizer Khan Mazari. For PP-297, Dost Mohammad Mazari of PTI is up against Atif Hussain Mazari who is the only PML-N candidate capable of winning from Rajanpur district. Atif Mazari is nephew of Shaukat Mazari who is considered to be a favourite in PP-297 as he enjoys support from Wali Mohammad Mazari, brother of PTI central leader Dr Shireen Mazari.